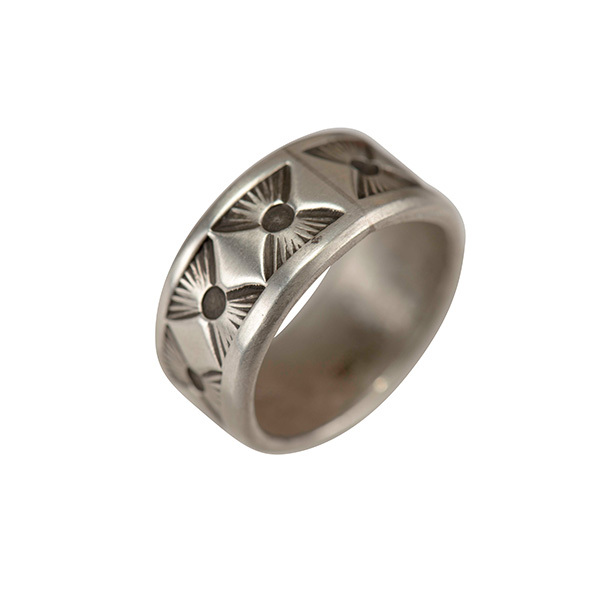 Apprenticed by his father Cippy Crazyhorse, Waddie Crazyhorse is a third generation silversmith who has been unable to stop crafting jewelry since he started learning the family trade. He is known for his bold lines and use of negative space. 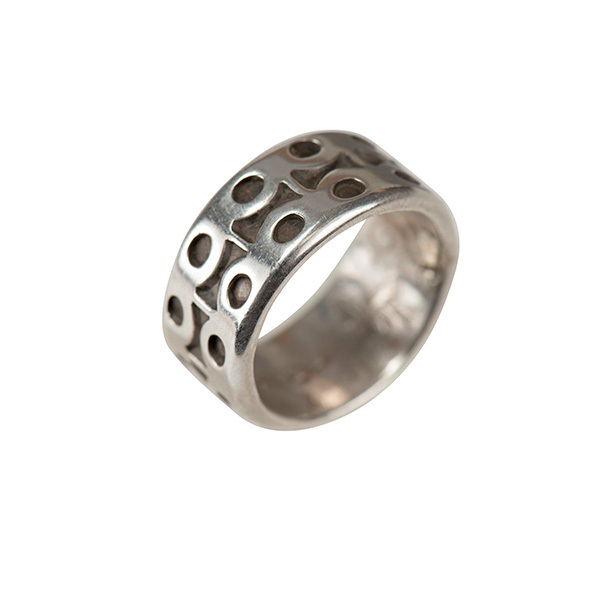 This ring exhibits a matte silver finish and soft borders with an energetic hand-stamped pattern.